18th September 2018, New Delhi: The festive season is just a few months away. It is the time when everyone wants to spend on gifts and do those much-awaited upgrades of the home appliances. But the roof touching fuel prices have put a dent in the pre-festive season spirit. It is a big burden on the middle-class Indians and many of them are scrambling and cutting household expenses to adjust with the rising fuel prices. 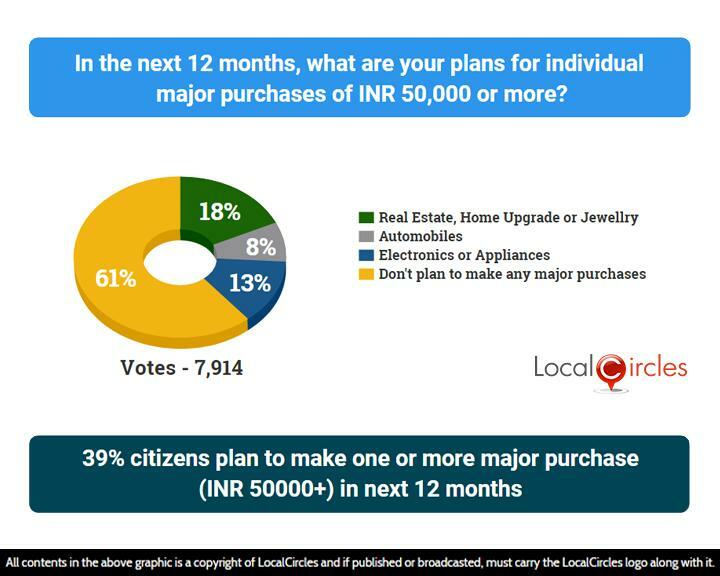 LocalCircles conducted a 5-poll survey to check the mood of the consumer ahead of the festive season. 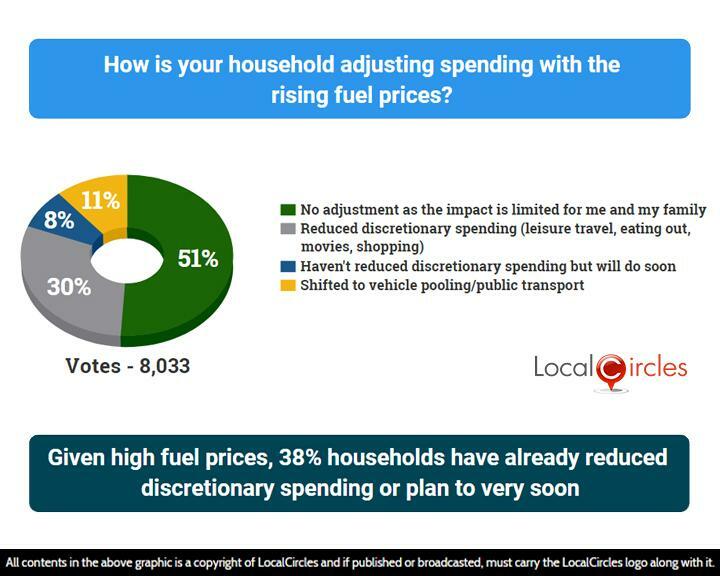 When asked how their household is adjusting spending with the rising fuel prices, 51% in the first poll said that they did not need much adjustment as the impact of rising fuel prices on them and their family was limited. 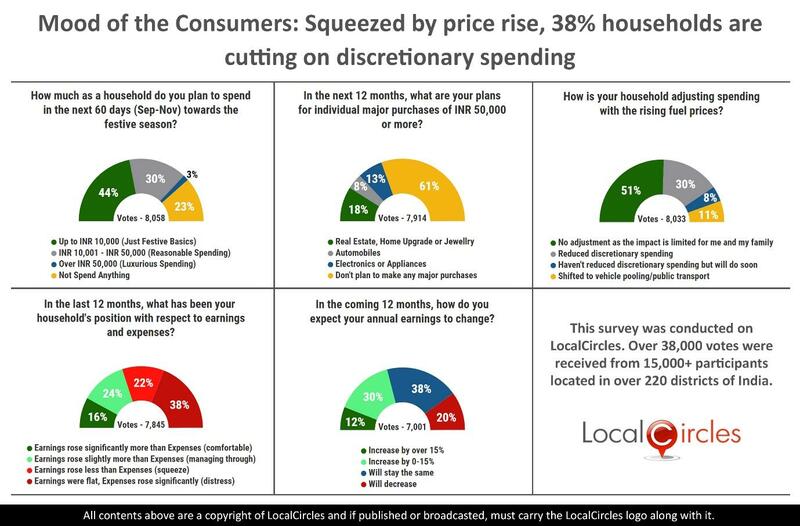 30% said they had reduced discretionary spending like leisure travel, eating out, shopping etc. while 8% said they will reduce their discretionary spending soon. 11% have shifted to vehicle pooling and public transport. After the last price revision, a litre of petrol is almost touching Rs 90 in Mumbai and above Rs 81 per litre in Delhi. This is putting a huge strain on the pockets of the consumers. 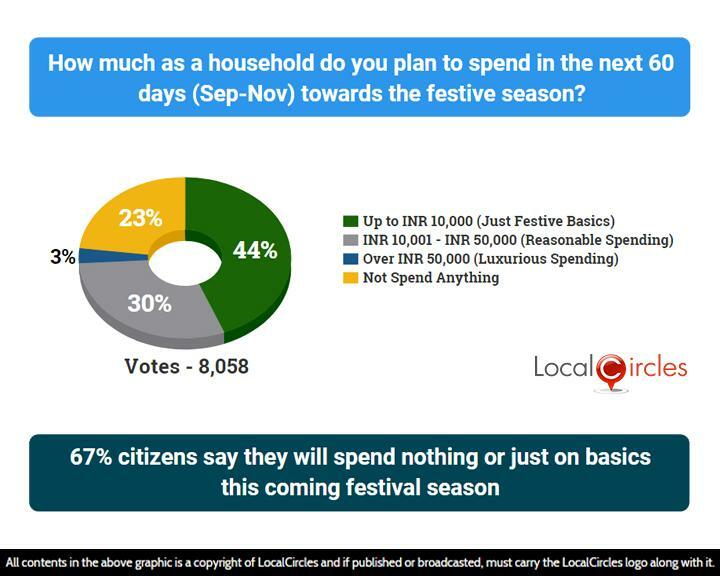 People were asked how much as a household do they plan to spend in the next 60 days (Sep-Nov) towards the festive season. 44% said plan to spend up to Rs. 10,000 towards festive basics while 30% said they plan to spend Rs. 10,000 – Rs. 50,000 during the festive period. 3% said they will be spending luxuriously, i.e. more than Rs. 50,000 towards the festive season. 23% said they will not spend anything. The following question asked consumers how their household position has been in the last 12 months on the earnings and expenses front. 16% said earnings have risen significantly more than the expenses, and 24% said earnings have risen slightly more than the expenses. 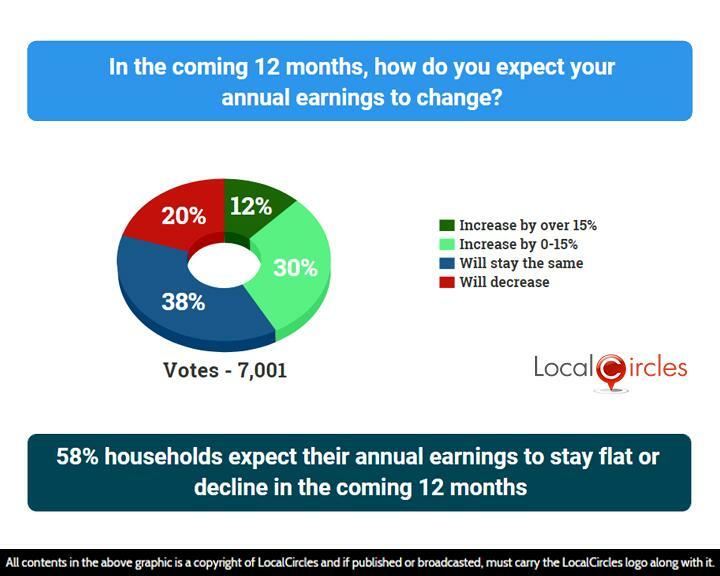 22% said earnings have risen less than the expenses leading to a squeeze situation while 38% said that earnings have been flat, but expenses have risen significantly and it’s a distress situation. 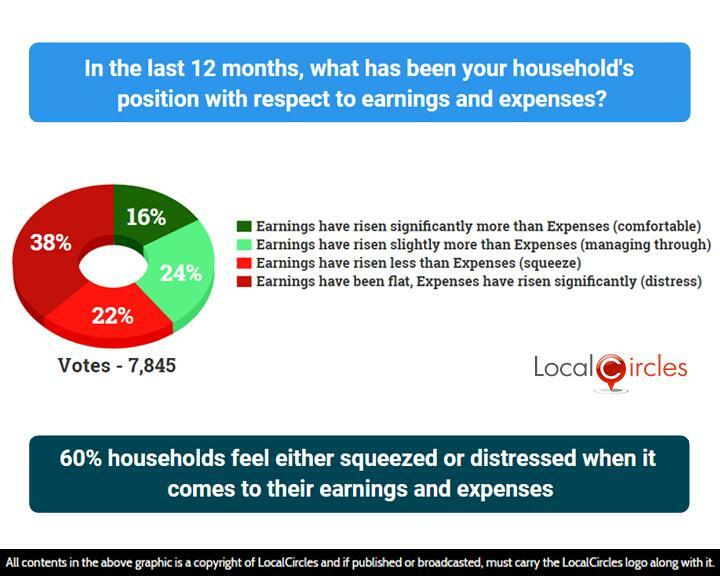 This shows that almost 60% households feel the squeeze and 22% of them are experiencing financial distress because of expenses increasing being higher than rise in earnings in the last 12 months. 38% in the final poll on future earnings and expense outlook expect their annual earnings to stay the same in the next 12 months and 20% even expect it to decrease. Only 12% see it increasing by over 15% and 30% see it increasing by up to 15%. With all that being said, the festive season does bring in an atmosphere of hope and positivity. Consumers hope that the state and central government both will take some measures to bring the fuel prices down to help the common citizen. 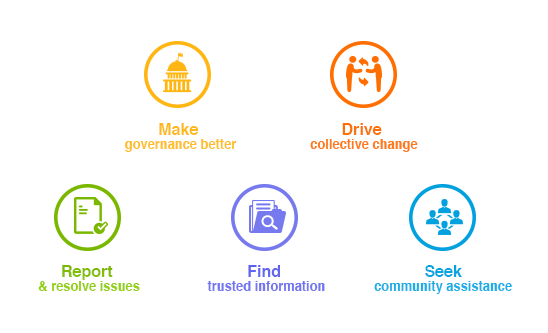 Over 38,000 responses were received from over 15,000 unique citizens located in 220 districts of India. Approximately 37% of the respondents were women while 63% were men. 45% of the participants were from Metro/Tier 1 cities, 34% from Tier 2 cities and 21% were from Tier 3 and rural locations.